Notes: Before the railway came the area was rural and specialised in growing lavender. 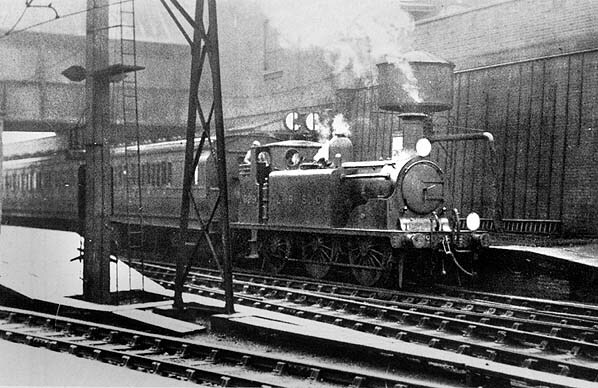 On 21 May 1838 the London and Southampton Railway, which became the London and South Western Railway (L&SWR) opened its line from Nine Elms to Woking. That was the first railway through the area and a station was provided at Wandsworth (later renamed Clapham Common) that opened with the line. Nine Elms was a riverside site easily reach by steamer but it was on the edge of the built up area and too remote from central London to attract sort distance travelers. 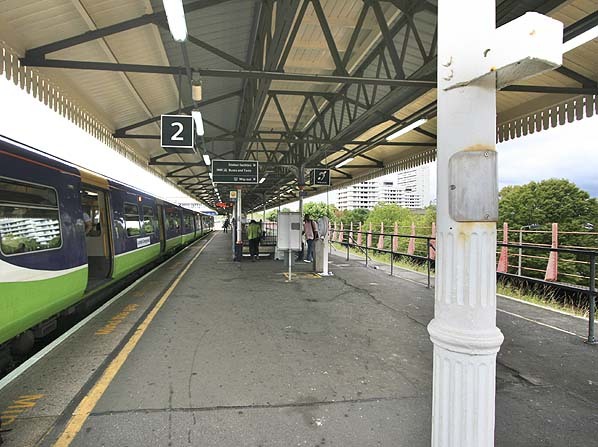 the L&SWR, the London, Brighton and South Coast Railway (LB&SCR) and the West London Extension Railway (WLER) to be an interchange station for the Windsor, South Western Main Line, Brighton and WLER lines. Each company had its own platforms and booking office. When the station was built Battersea was regarded as a poor district while Clapham, a mile east, was more fashionable. The railway companies, seeking to attract a middle and upper class clientele, adopted the grander of the two names although the station is actually in Battersea. 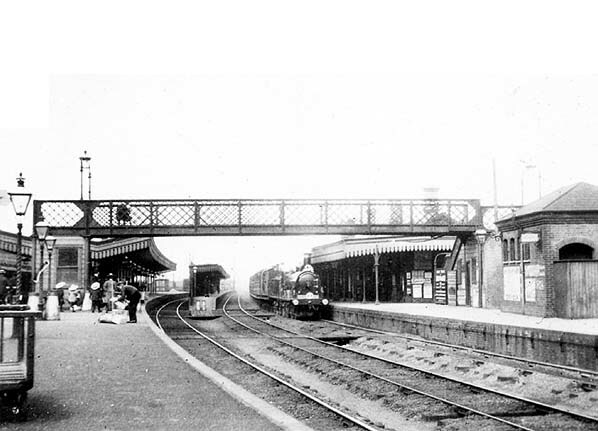 The station brought development to the area around it, the population rose from 6,000 in 1840 to 168,000 by 1910.
only Platforms 1 and 2 were used. Today only Platform 2 is is used by West London Line trains, the track in Platform 1 having been lifted although there are numerous proposals to reinstate the platform. there are now two entrances, both from the subway: one at the north end onto Grant Road, and the small bus station, and the main one through a small shopping centre onto St John's Hill. Both were rebuilt as part of the station redevelopment in the 1980s and have ticket offices. There used to be another entrance from the footbridge onto St John's Hill, but this has been closed although there are proposals to reopen it. 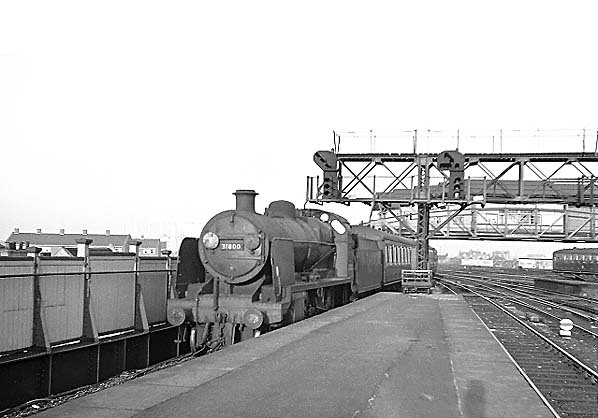 For more pictures of Clapham Junction Station in the 50's and 60's see Mike Morant's 'Old Pics Brought to the Fore' web site. to a junction with the West London line just north of Kensington Station and on the 12th April 1869 a connection between the West London Line and the District Railway was made at West Brompton and a northbound spur from the District Railway to Kensington was opened on 1st February 1872. There was also a connection to the District Railways Lillie Bridge Depot. On 1st June 1877 the District Railway was extended a short distance west from its station at Hammersmith to a junction with the 1869 LSWR's Richmond Branch. ran between Clapham Junction and Kensington with two trains in the morning rush hour and two in the evening. holiday excursions and special cross country workings were common. This service received little promotion and most people were unaware of its existence. 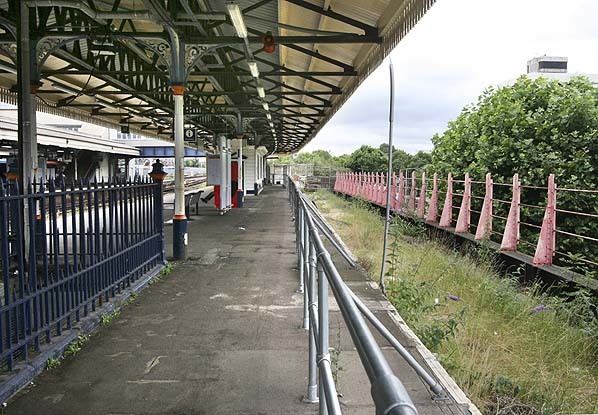 Most of the conductor rails between Kensington and Willesden were removed between 1946 - 1952. 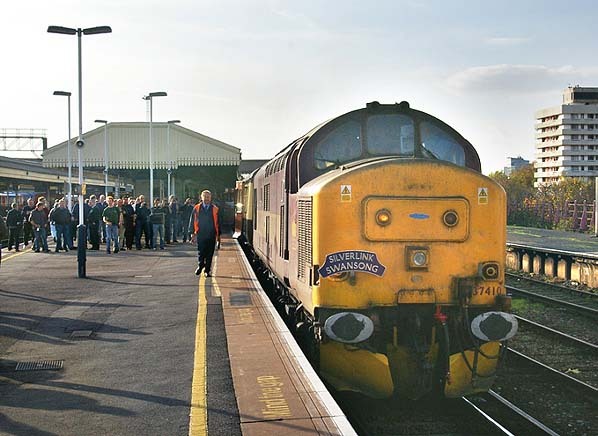 24th May 1966 the West London Line received a new lease of life with the opening of the Motorail terminal at Kensington, with car-transport services to a wide range of destinations in Scotland, Wales and the West Country. These services ceased in 1988 and the Motorail terminal closed. It’s now used as a covered car-park and the reception area is now the booking hall and ticket office. 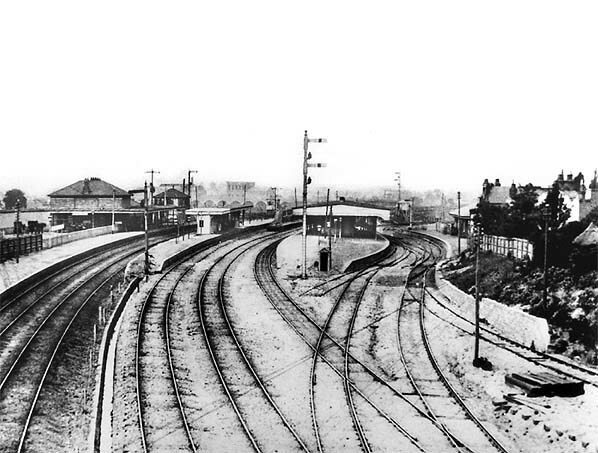 Early view of Clapham Junction Station looking north from Wandsworth Road bridge. 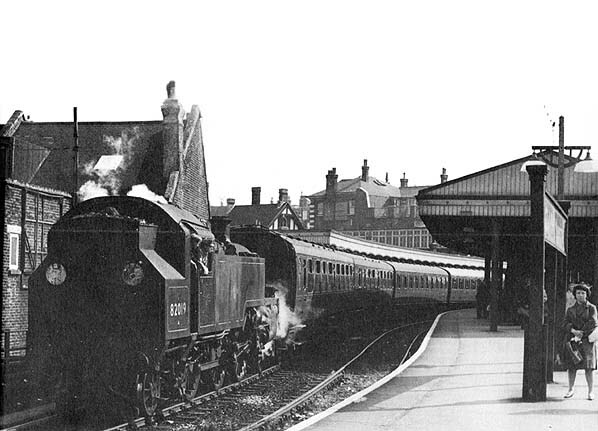 The double track of the LSWR main line is seen on the left with three LBSCR tracks in the centre (note the short platform in the background for their centre track) with the dual gauge tracks of the West London Extension Railway on the right. Later view of Clapham Junction Station looking north. the short platform for the centre LBSCR centre line is again seen. The WLER platform is on the right. Silverlink Swansong II Railtour at Platform 3 at Clapham Junction on 10th October 2007, awaiting departure for Willesden Junction. London Overground train in Platform 2 at Clapham Junction looking south in July 2009, awaiting departure for Willesden Junction. The disused Platform 1 is seen on the right.